Hi, we're back with another Me moment. Today we'd like to talk to you about Safco's adjustable speaker stands. Get back to the basic with this speaker stand. This stand is perfect for presentations, small meetings, and lectures that do not require any support equipment. The large reading platform can adjust from zero to 70 degrees, so the presenter can ensure it is at the right height that is most comfortable for them. The podium can also be adjusted from 30 inches to 44 inches for even more personal comfort while you're presenting. Thank you for joining as for this Me moment. Please join us again to find out how Safco can help you work hard and play harder. Stick to the basics with this speaker stand from Safco! It is easily adjustable to best fit the height each presenter needs during meetings or presentations where all they need are papers in front of them. 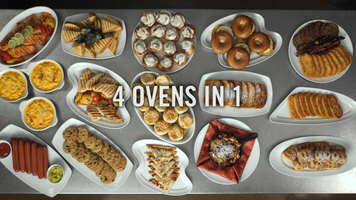 Learn how Alto-Shaam Vector series ovens can save you time and energy by watching this video! Cleaning kitchen equipment is an integral part of food safety, sanitation, and the longevity of the machine, itself. 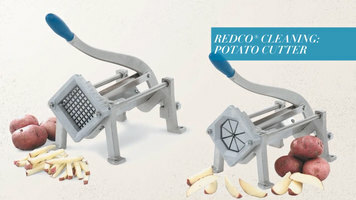 Check out this video for a tutorial on how to properly clean and maintain your Redco potato cutter. Proper maintenance is key to enjoying long-lasting equipment! 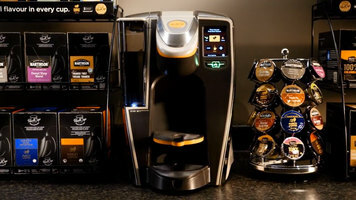 Discover why the Grindmaster RealCup RC400 should be the next addition to your business!